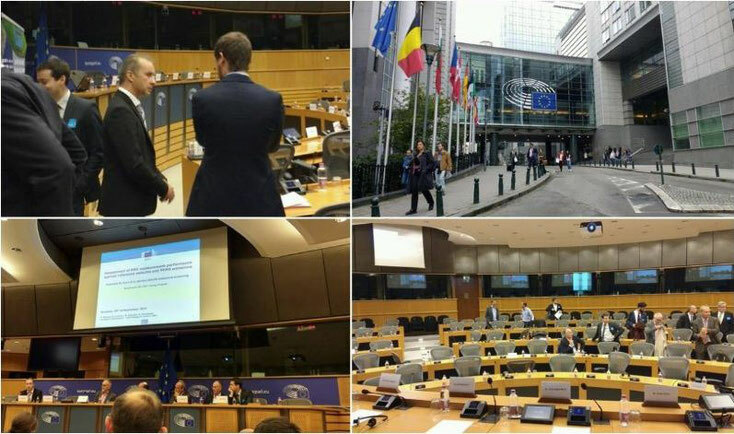 Last 28th of September 2017, an event was held in the European Parliament to address how the Remote Sensing technology can prevent a future ‘Dieselgate’ in Europe. The event was hosted by the chair of the former inquiry committee into automotive emissions, Kathleen Van Brempt, who encouraged all countries into the use of Remote Sensing. “RSD Instrumentation measurement performance was verified under real-world conditions. It exhibited excellent correlation with the references for CO and NO, within wide ranges”. Other scientific groups also praised the remote sensing technology, showing its reliability and its potential for in-service vehicle emissions screening. Every message was in favor of this technology and there was a total consensus of its immediate use. The International Council on Clean Transportation (ICCT), the Swedish Environmental Research Institute, the University of York and others, presented results of RSD measurements that clearly show how real-driving emissions are highly above the European limits. The European Commission remarked that on-road emissions inspections must be done by every EU country. Periodic Technical Inspections has proven to be insufficient to detect vehicles with bioth tampering and defeat devices. Opus RSE’s technology is small, portable and is deployed in minutes. It is perfect for on-road inspections as the authorities can detect high emitting vehicles changing the measuring locations frequently, without being discovered by the drivers. Greg Archer, Director of Clean Vehicles team in Transport & Environment (T&E), declared in Brussels that fining vehicles depending on the vehicle’s age or vehicle’s Euro Standard is not a fair, neither correct, air quality policy. Local authorities must measure empirically the real-driving emissions in their cities and act on proven high-emitters. The Type Approval regulation P8_TA0097 already defines “specific obligations for national authorities to include […] results of remote sensing testing”. Panagiota Dilara, Policy Officer for Motor Vehicle Emissions at the commission's industry directorate, emphasized on the role of remote sensing for in-service conformity testing and defeat device detection: "Remote Sensing is a powerful tool", said Dilara. After the ‘Dieselgate’ scandal, the EU parliament called on member states to "establish remote fleet monitoring schemes" by using roadside remote sensing equipment. The health of millions of people is at stake.